Samsung's tagline for the Galaxy S9 is "The Camera. Reimagined." You can pretty much guess from it that most of the major innovations are camera focused. And after the media preview session, I'd have to agree that all the fun stuff is centered around the camera. Samsung has finally learned that it's not so much as cramming new, gimmicky features onto a device, but how to implement them in a way that they're accessible, easy and fun to use. And that's a page straight out of Apple's book. To this end, the innovations for the S9 camera aren't new. Apple did animated emojis first on the iPhone X and Sony's Xperia ZX Premium already touted stacked sensors and super slow-mo last year. But, I dare say Samsung has done it better. Let's get down to it. My favorite new feature to the camera. Instead of just animating yourself into a limited set of standard emojis, which while fun, wears out its welcome fast. Samsung's AR Emoji implementation creates you very own 3D avatar, which can then be further personalized with clothes, hair styles and accessories. This is somewhat similar to creating an Xbox Avatar or Nintendo Wii, except with your actual face mapped. 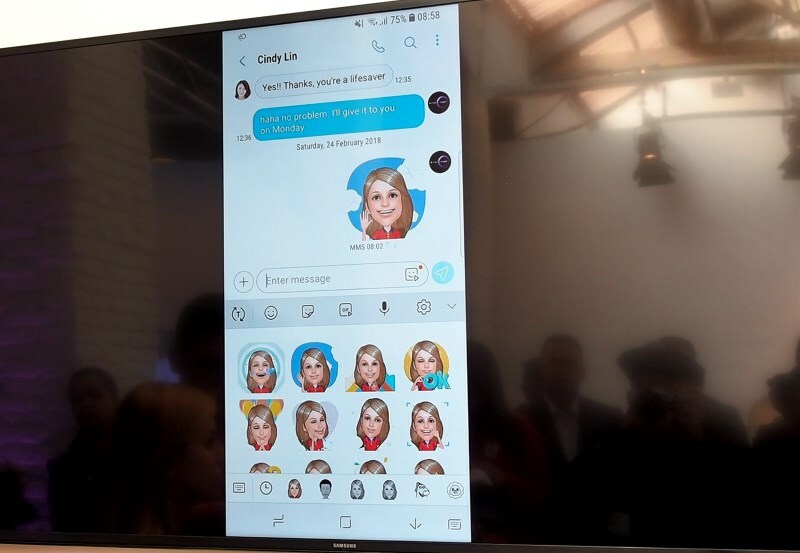 According to Samsung, AR Emoji uses a data-based machine learning algorithm to map the 2D image of your face to enable more than 100 facial features. The best part about AR Emoji is the fact that this feature is designed to be cross-platform, cross-device, and cross-brand compatible. The photos, and videos you create can be shared with anyone. Even the emoji stickers are created as standard animated GIFs, which means you can use them on just about any app that supports sending/viewing GIFs. You can capture your friends as well and turn them all into emojis, which is way more personalized and fun in the long run. 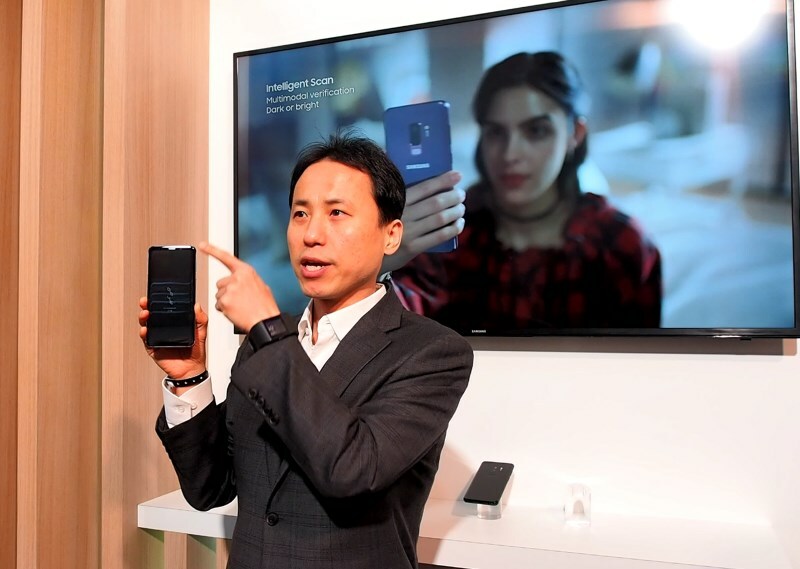 The Samsung Galaxy S9 and S9+ also features an updated biometric log-in feature called Intelligent Scan, which is combes the existing facial and iris scanning technologies in the past phones. There aren't any new front facing cameras or sensors, and when approached, Samsung's official comment was "Intelligent Scan is based on an algorithm that analyzes your iris and facial data". What I wanted to know was if Intelligent Scan uses both Iris and Facial recognition a) simultaneously, or b) one after another for added security, or c) one or the other in case your eyes or your face is blocked. When I hear back from Samsung, I'll update this part. For the demo, this was the one camera feature, I did not get a chance to test out.